I could never overstate the importance of a musician’s need to develop his or her ear. Actually, I believe that developing a good “inner ear”—the art of being able to decipher musical components solely through listening—is the most important element in becoming a good musician. Possessing a healthy imagination is a necessary ingredient for creativity. But without the ability to bring those imagined sounds into the real world, one’s creative aspirations will remain crippled. Training one’s ears to understand and recognize musical sounds and concepts is one of the most vital ways to fortify the connection between the musical ideas in one’s mind and the musical sounds created on one’s instrument. All musicians practice ear training constantly, whether or not they are cognizant of it. If, when listening to a piece of music, a musician is envisioning how to play it or is trying to play along, that musician is using his or her “ear”—the understanding and recognition of musical elements—for guidance. This is also true when trying to emulate a piece of music, or transcribe it, or even just finding inspiration in it. No matter what one is playing, one’s ear is the navigational device that steers the musical ship where it will go. Without a good ear at the helm, you could find yourself musically adrift at sea. I have always been fascinated with looking at music written on paper. When I was in college, I took a class called solfege, which entailed learning how to sight-sing. Sight-singing is the art of looking at a piece of written music and singing it. First, you identify the key center, and then you sing the written pitches, using the “doe-ray-me” phonetic structure, just like that song in the movie The Sound of Music. “Do-Re-Mi-Fa-Sol-La-Ti-Do” (pronounced “Doe-ray-me-fa-so-la-tee-doe”) represents a major scale; there are other monosyllabic sounds that represent the other pitches that reside within a 12-tone octave. These solfege classes in college were difficult courses, but they were well worth the time invested. A thorough study and analysis of solfege within the confines of this column would be impractical, so I can only encourage you to investigate it on your own. One of the easiest ways to begin working on ear training is to sing what you play. For example, you can play a C major scale (C D E F G A B) in any position—preferably one that is physically comfortable for you—and sing each note of the scale as you play it, being very careful to sing on pitch as accurately as possible. Start with one note: play the note, sing it, and then play and sing the note simultaneously. Then go to two notes. Once you feel comfortable, take a little piece of that scale, say, the notes C, D, E and F, and create a very simple melody with these notes for you to sing simultaneously, à la jazz guitarist George Benson. This is an easy way to get your ear in sync with the sounds your fingers are creating. Whether you’re soloing over a rhythmic vamp or are playing alone in free time, you have to really stick with it, and don’t allow yourself to slip up or drift into something else. The idea is to endlessly improvise and sing what you are playing, using any key. These techniques do not address the act of playing one thing on the guitar and singing something completely different. Someone like Jimi Hendrix had the uncanny ability to play very complex rhythm parts and single-note riffs while singing complementary parts. This technique requires a whole different set of brain muscles and is very difficult for many players. Playing one thing while singing another must be worked on as an independent field of study. If I could play the guitar and sing at the same time, hey, I might have a career! I’ll be back next time with some more effective ways to help you to develop your ear. 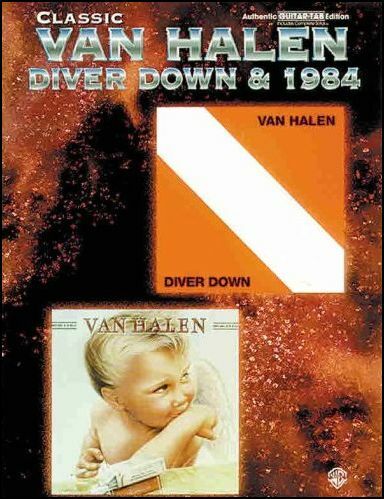 VAN HALEN, DIVER DOWN & 1984. TAB. VAN HALEN, DIVER DOWN. TAB. Classic Album Editions series features a variety of songbooks to match groundbreaking albums from bands that have changed the course of musical history! The series would never be complete without these classic Van Halen hits. This acclaimed album spent an astonishing 65 weeks on the U.S. album charts. From Van Halen’s own popular songs to famous covers such as Oh Pretty Woman, the album remains a favorite over the years. 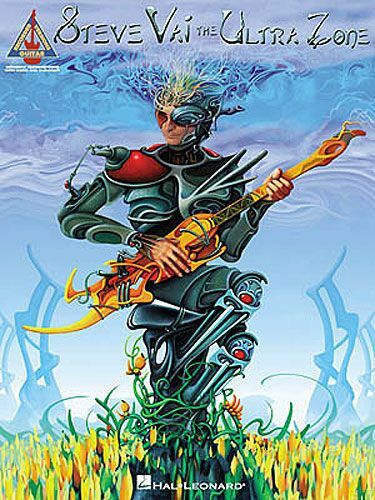 Songs: Big Bad Bill (Is Sweet William Now) -Cathedral -Dancing in the Street -The Full Bug -Hang ‘em High -Intruder -Little Guitars (Intro) -Little Guitars -(Oh) Pretty Woman -Secrets -Where Have all the Good Times Gone! VAN HALEN. 41 esempi video, strumentazione, i pick-up, tour data dal 1976-1984, fotografie e molto altro. DVD TAB. VAN HALEN. Suono originale di: Ain't Talkin' Bout Love -Ice Cream Man -Beautiful Girls -Feel Your Love Tonight -Jamie's Cryin' -Dance the Night Away. Anche per basso. Includes original recording! CD-ROM. TAB. VAUGHAN BROTHERS, FAMILY STYLE. TAB. VAUGHAN STEVIE RAY, AND DOUBLE TROUBLE, LIVE AT MONTREUX 1982 & 1985. 19 Titoli, 207 pagine. TAB. 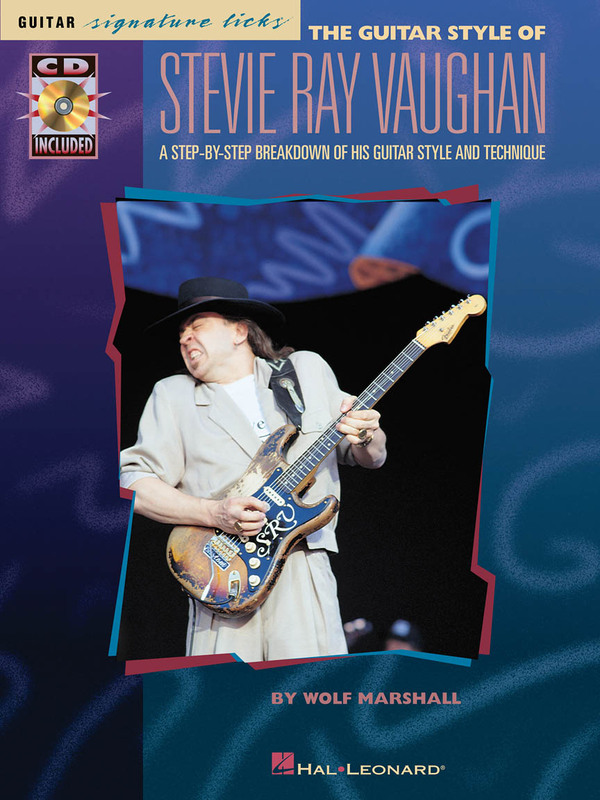 VAUGHAN STEVIE RAY, GUITAR STYLE OF. Esempi da Texas flood (1983): Texas flood -tell me -Mary had a little lamb. Couldn't stand the weather (1984): couldn't stand the wether -voodoo chile -tin pan alley. Soul to soul (1985): say what -gone home -change it. In step (1989): crossfire -tightrope. The sky is crying (1991): little wing. Anche basi parziali, ascolto rallentato, elenco degli strumenti per un suono S.R.V.. CD TAB. VAUGHAN STEVIE RAY, THE SKY IS CRYING. TAB. VAUGHAN STEVIE RAY, TEXAS FLOOD. TAB.